The Merry Wives of Windsor is a comedy by William Shakespeare, first published in 1602, though believed to have been written prior to 1597. 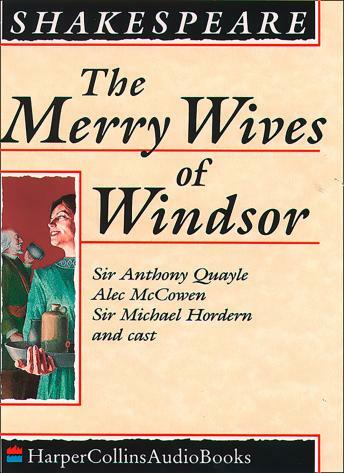 The Merry Wives of Windsor features the fat knight Sir John Falstaff, and is Shakespeare's only play to deal exclusively with contemporary Elizabethan era English middle class life. It has been adapted for the opera on occasions. The play anachronistically places Sir John Falstaff, who had previously appeared in Shakespeare's plays about the medieval King Henry IV and set circa 1400, in the contemporary setting of the Elizabethan era, circa 1600.